A Walk Coach Learn meeting is different. It is a walking meeting that gets your team moving, reflecting and connecting with each other. It’s an opportunity for your team to be active, creative and come up with the ideas you need in order to work in a better way. Using the streets and green spaces near your workplace in London, Anise will enable you to walk while you work and get your team talking, thinking and focusing on doable actions. Don’t wait to get your team together for a full away day, invite your team for a one hour facilitated walking meeting now. First Anise will work with you to explore your team needs and craft a walk with topics and questions that respond to your priorities. 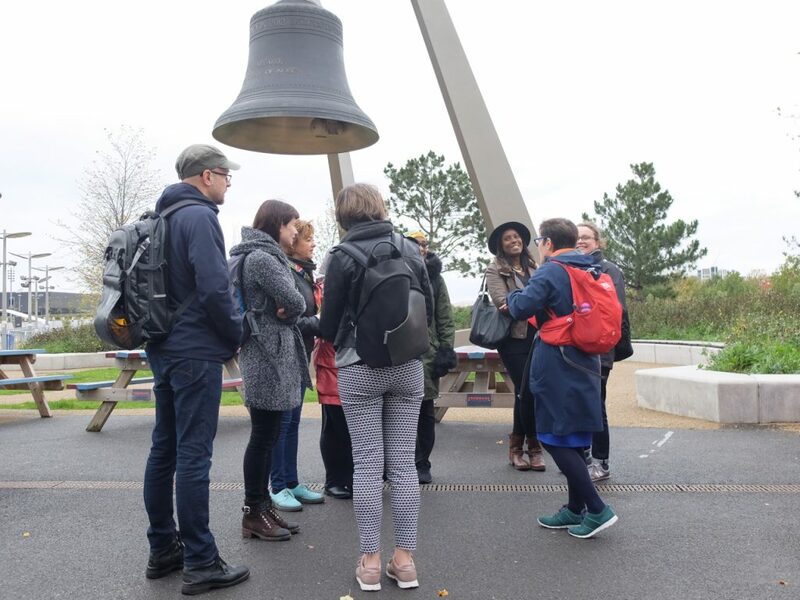 Anise will design and guide your walking meeting ensuring participants can concentrate on their conversations, connect as a group, feel supported and gently challenged while also gaining new perspectives. Not only will your team gain the benefits of taking a walk, participants will feel positive, full of ideas and able to identify clear actions. How will a Walking Meeting help? Key for a new or expanding team or a team facing changes. Also useful for networking and comfortably connecting with other teams. Walking alone has over a hundred physical and mental health benefits and has been proven to improve thinking and creativity. Walking coaching focuses on creating a stimulating, reflective, supportive space. The physical walk allows a digital detox and gets you out of your usual work space. It enables you to think in new ways, move through blockages and gain insights from the environment around you.